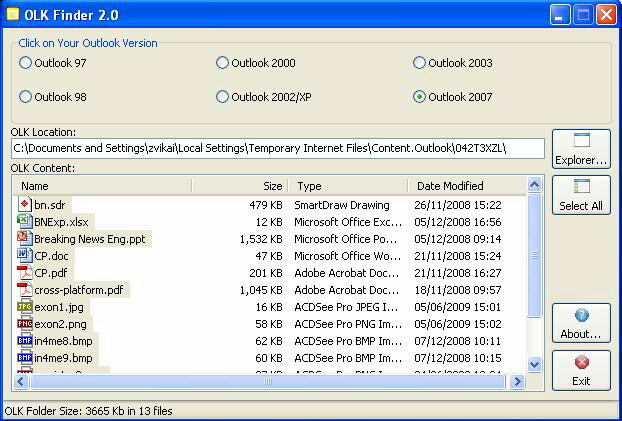 Microsoft Outlook secretly saves attachments in a temporary Internet files subfolder. These attachments can be accessed anytime as long as the temporary folder has not been cleared. Few people knows about it so they think that once you delete an email the attachment is permanently gone. Manually you can locate the temporary Internet files (OLK folder) from Windows Explorer but this may be little tedious for non-techie people. A more easier way to recover an attachment is by using a freeware like OLK Finder. 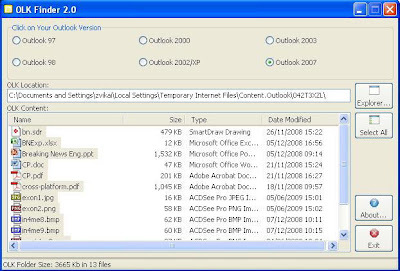 OLK Finder is a freeware that let you easily find the location and handle the content of MS Outlook security temp folder. Remember: If you regularly clear your Internet cache then you might not be able recover the wanted attachment.